Some moments are destined to change us. They’re meant to be existed in order to reveal some things to us. They happen to make us realize. They’re our life-changing moments. And changing isn’t always a bad thing. No matter how hard we try to look for it, sometimes we can never go back to our old selves again. And sometimes that’s for the best. Have you ever reached a point in your life where you think back of your life so far, and wonder why you could get to that point? Have you ever felt so stuck and fed up? Have you ever been jaded? Whenever I get to that point, I reminisce all my life-changing moments, and realize, everything will eventually go back to the ground zero. We’re just a speck of dust within the galaxy. Our lifetime is so short in compare to the universe. And life keeps on going, moment keeps on passing. When we’re at the bottom, don’t think too hard about it and keep on moving. When we’re at the top, don’t be too overwhelmed about it and stay humble. Everything happens for a meaning. Take a look closer but not too close, and we’ll see. Today’s song for Moments Of Our Lives is a classic hit titled “Dust in the Wind”, performed by the legendary American rock band, Kansas. It was released on January 16th 1978 and served as the second single released from their fifth studio album, “Point of Know Return”. The single was certified Gold for sales of one million units by the Recording Industry Association of America (RIAA) shortly after the height of its popularity as a hit single. More than 25 years later, RIAA certified Gold the digital download format of the song, making it the Kansas’ only single to do so. Thinking about the true value of material things and the meaning of success, no matter our possessions or accomplishments, we all end up back in the ground. The lyrics “Dust in the Wind” express one’s own searching for something. It’s a song about the transitory nature of our physical lives; a dust in the wind. “I close my eyes only for a moment, and the moment’s gone. All my dreams pass before my eyes, a curiosity. Dust in the wind, all they are is dust in the wind.” Moments are passing in our short lifetime in this world. Some moments, they’re as rare as diamonds. Some moments are just priceless; only happen once and never again. But sometimes, we’re just too busy living the life itself, too busy to be able to enjoy and cherish every passing moment we have in this short lifetime in the world. “Dust in the Wind” was written by Kerry Livgren. 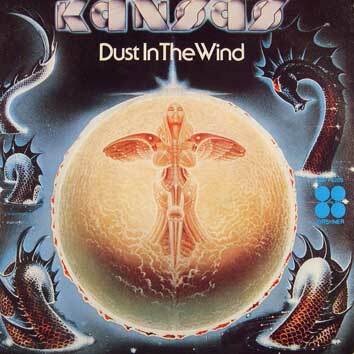 It became Kansas’ megahit as well as their signature song. Ironically, this song was a last-minute addition to the track lineup for “Point of Know Return”. 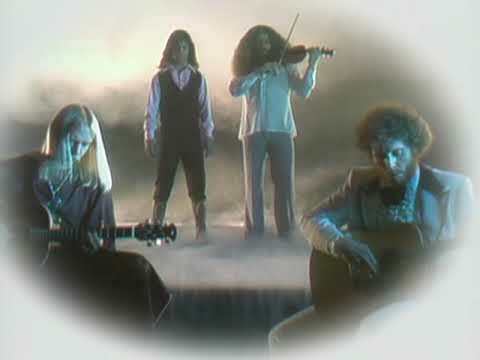 Besides, was one of Kansas’ first soft rock acoustic tracks, which was not typical of Kansas, putting the band in the position of having their best-known song be one that doesn’t reflect their sound. 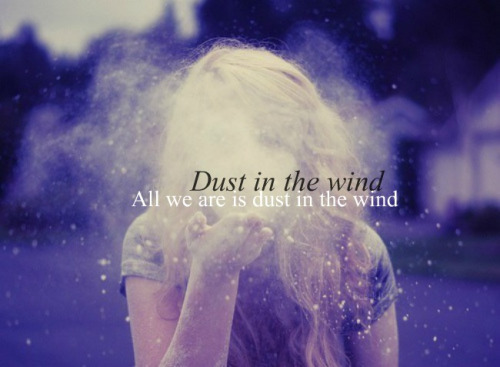 Since its release and worldwide popularity, “Dust in the Wind” has been covered and featured in thousands of artistic and commercial entities.